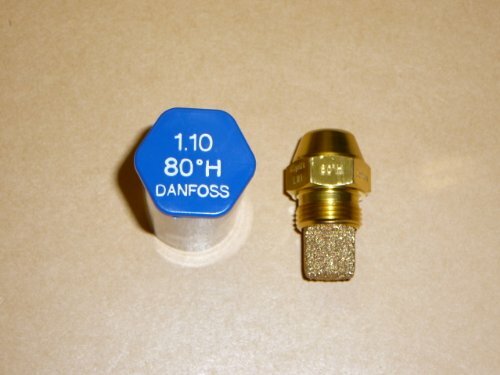 Please note that the listing title indicates which size/type of Danfoss Oil nozzle is for sale in this listing. Danfoss has developed the EH and ES type oil nozzles for the optimum combustion of Kerosene in domestic high-pressure oil burners. 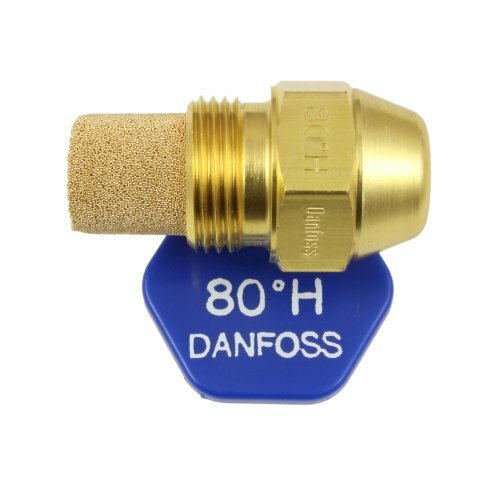 Danfoss EH and ES nozzles can be used to directly replace existing Danfoss H and S nozzles (when used with Kerosene only). Danfoss standard OD type (S, H, B) are designed for domestic and commercial high-pressure oil burners operating with standard light or heavy fuel - they can be used with Kerosene or Diesel. Tightening torques: • Recommended tightening torque 15 to 20 Nm (1.5 to 2.0 kpm); • Max. tightening torque 25 Nm (2.5 kpm).